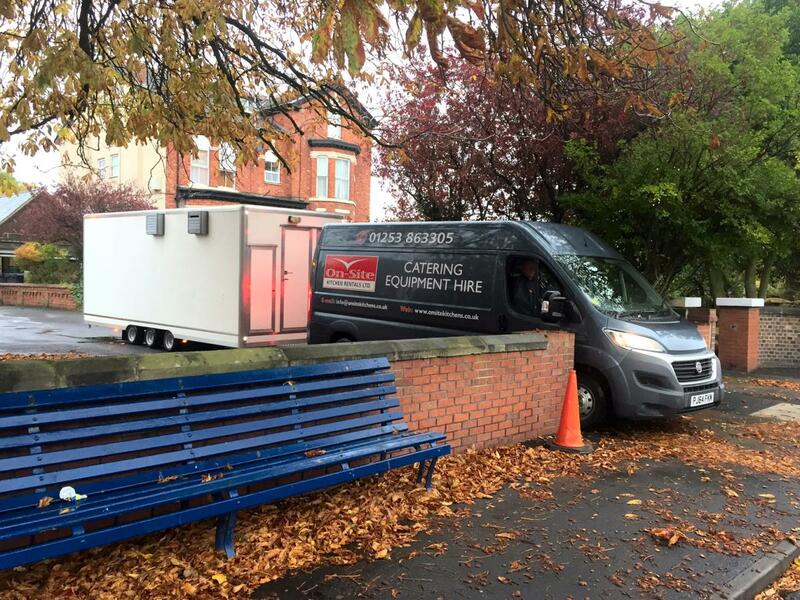 If your care, nursing or rest home kitchen is unavailable due to planned refurbishment or damage from a fire, flood or similar emergency, On-Site Kitchen Rentals Ltd can supply a temporary kitchen solution, with or without a dining area. 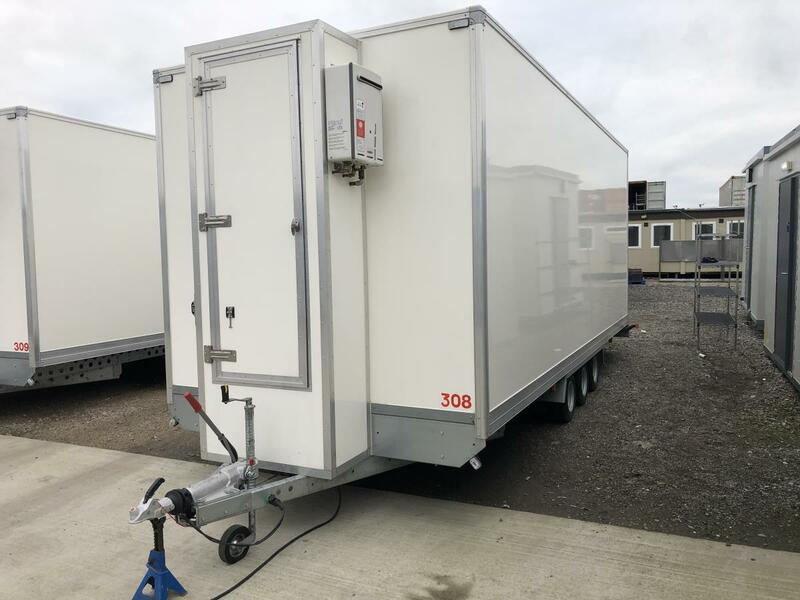 Our modern temporary kitchen units offer everything your catering staff require to carry on as per usual, including production of hot freshly cooked meals, along with dishwashing, dining and refrigeration facilities as required. 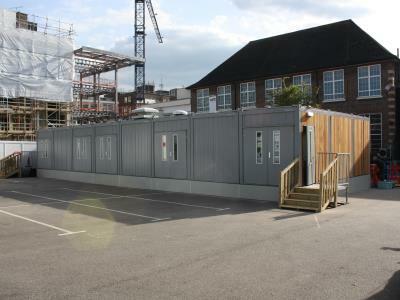 We provide a quality installation which meets all current regulations and guidelines, from the latest gas interlock systems to plastic coated and stainless steel wall linings. 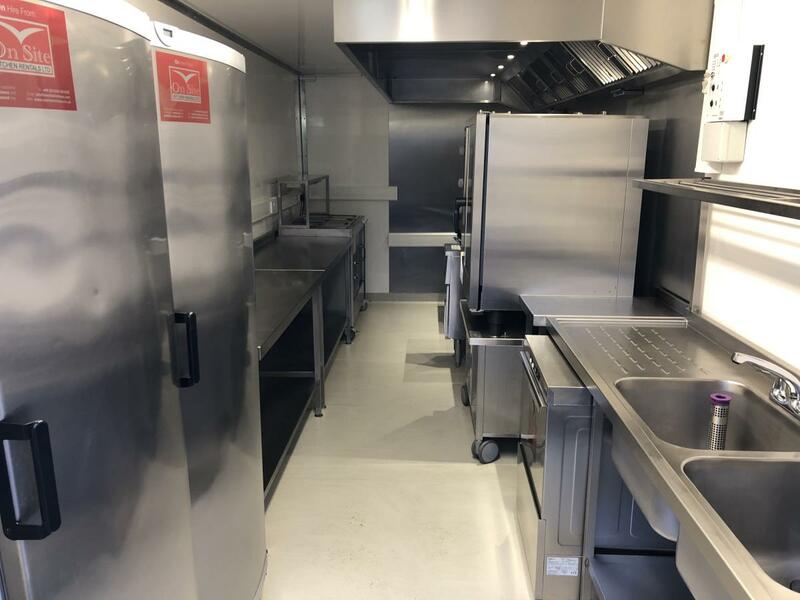 Units are furnished to suit your needs from our extensive range of catering equipment and only a basic electrical supply (cooking equipment is powered by bottled propane gas) and mains water are necessary, thus offering you a complete solution with minimal disruption to your site. 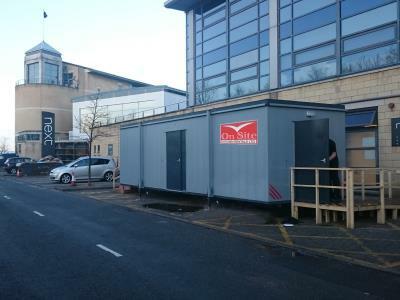 When one of their care homes was flooded recently, ANS Homes Ltd called On-Site Kitchen Rentals Ltd to supply temporary catering facilities to feed those residents not affected by the water. 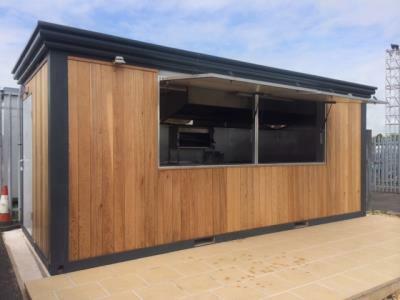 I contacted On-Site's Scottish agent and he had a temporary kitchen installed in less than a day. It turned a potential crisis into a minor inconvenience. In fact the 30ft x 10ft portable kitchen was loaded onto a lorry, driven the 200 miles from Blackpool to Edinburgh, unloaded, connected to the main services and the nursing home in just 20 hours. 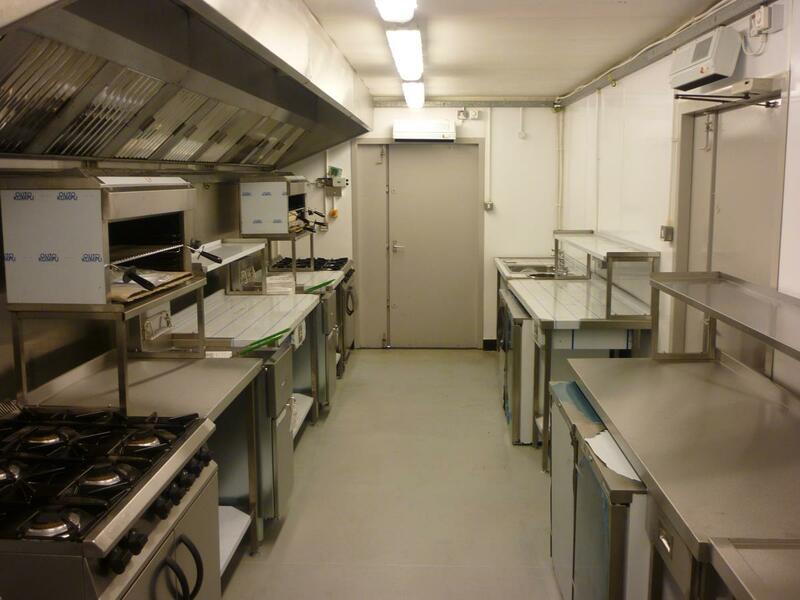 On this occasion a Maxi kitchen was fitted out to include two 6 burner ranges, a double fridge, a double freezer, two double fryers, grills, microwave, prep tabling and racking. The kitchen may be called temporary, but it has everything I need to cater for the 150+ resident and staff meals I need to provide every day. 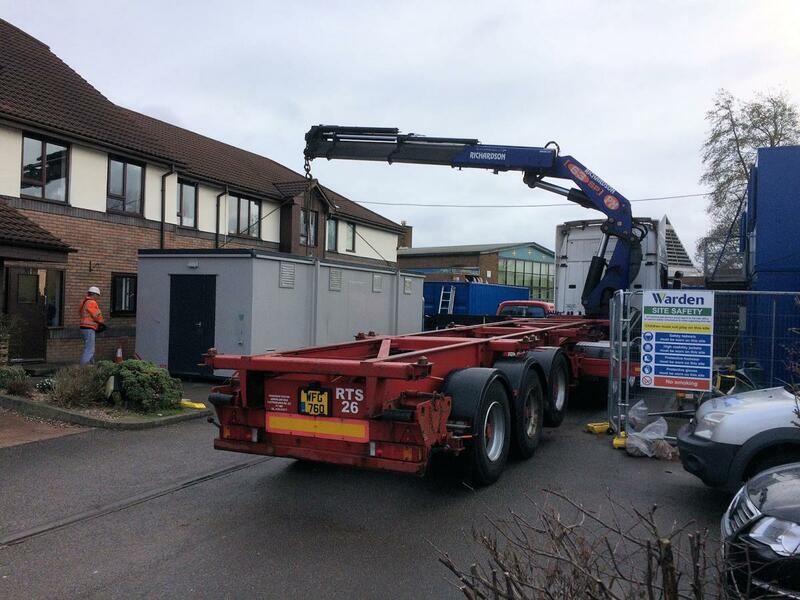 The speed and efficiency with which we were able to undertake the job meant that the disruption to residents was kept to an absolute minimum. Our contract manager was on site when the environmental health officer called to inspect the kitchen and it passed with flying colours. 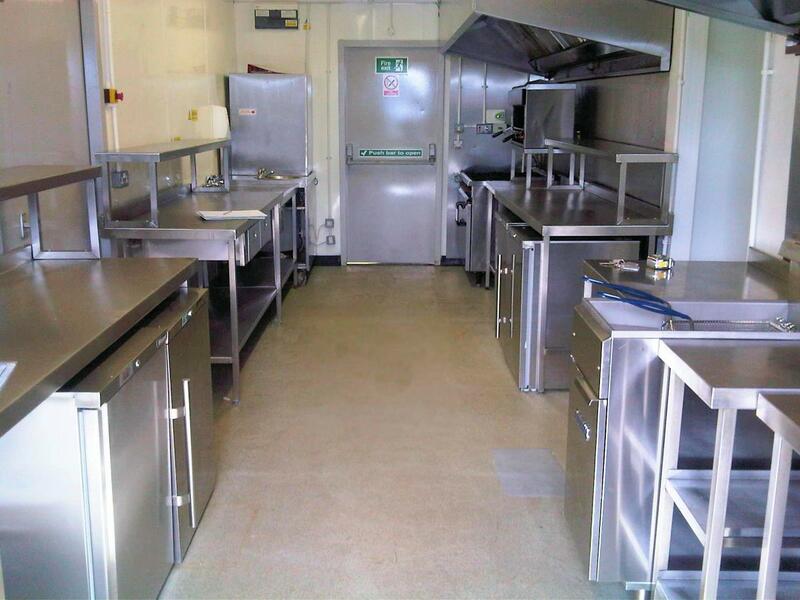 If you have limited space, our Sprinter kitchen is very manoeuvrable and has been used by leading care groups in situations where a larger kitchen would've been difficult to install. 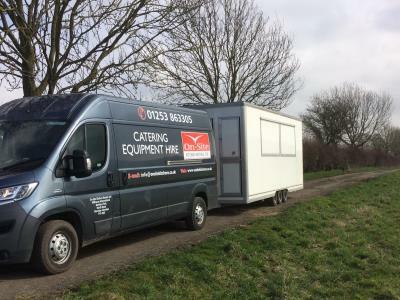 Again, this more mobile kitchen solution can be equipped with everything necessary to replace your existing kitchen whilst works or repairs are being carried out. For more examples of our kitchens in action, take a look at our case studies pages.